“The past is a foreign country,” wrote novelist L. P. Hartley in 1953’s The Go-Between. 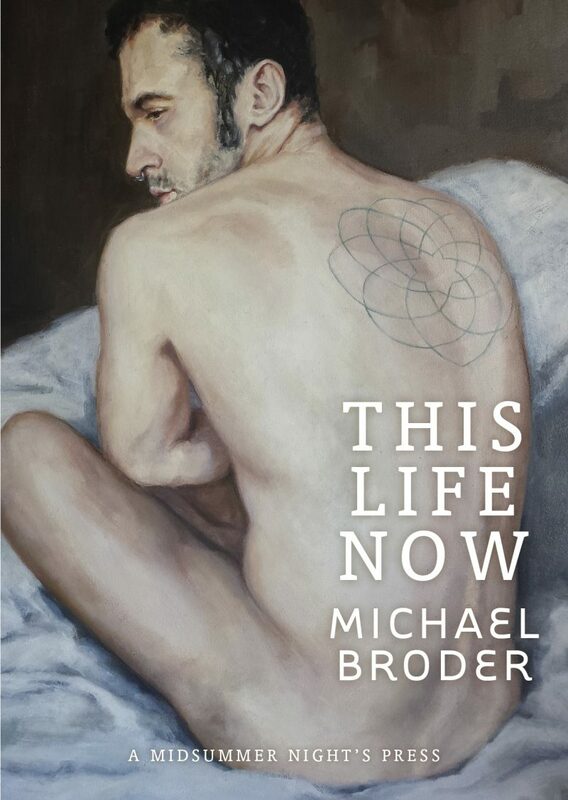 “They do things differently there.” This Life Now (A Midsummer Night’s Press), the debut collection from Lambda Literary Award finalist Michael Broder, foregrounds its narrator as the go-between for his current and past selves, to American decades where things were done differently—including those plague years barely survived. drinking will kill you before the virus has a chance. A guitar lies unheard, words float unsaid to yearned-for beauties, acquaintances fall quiet; but in construing memory’s detritus of Budweisers and brown paper bags, of Partridge Family crushes, toy cars and park bench trysts, Broder plucks his own sonorous notes—“Doug had light brown flyaway hair, the kind of hair boys would flick out of their eyes with a jerk of their neck in kind of a girlish way”; “in a pizzeria, over a vial of pills, her eyelashes fluttered, without irony” (“A Brief History”). This Life Now, with a faintly ironic echo of “This American Life,” offering its audience a window into one man’s existence—bridging mainstream and margin, domesticity and sexual adventure, survival and risk—weaves its narratives with a diligence mellowed by experience, that suggests patching our torn retro attire is unnecessary, and perhaps undesirable, if weathered fabrics are made serviceable. The rip, the fray, the split, tell our story. Heirloom fashions inspire new ones. A keen and appreciative eye is the go-between.